Marking Katie Eary’s first-ever womenswear collection, the new range for Autumn/Winter 2018 was showcased to industry trend-setters and taste makers in an exclusive presentation at London Mayfair’s Maddox Gallery. The show paid homage to girl power with a fully ‘Powerpuffed’ backdrop and an all-girl skateboarding squad. The 15-piece collection includes tops, sweatshirts, dresses, trousers, as well as a “mini-me” range for powerful women and aspiring young girls. The collection will be available later this year at select department stores and boutiques across Europe, North America and Asia Pacific and to support the launch, Eary is creating bespoke in-store displays and window concepts for retailers. The range will be supported by celebrity product seeding and outreach to influential consumer fashion press. 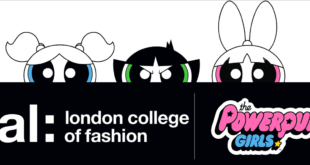 Additionally, a playful The Powerpuff Girls themed landing page will be created for Katie Eary’s website. 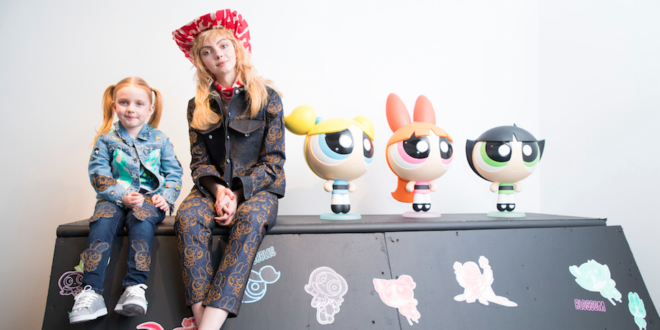 The announcement is the latest in a series of new licensing projects for the Powerpuff brand, as Cartoon Network celebrate the iconic superheroines 20th anniversary.